Actually one Erlenmeyer flask and two graduated cylinders to be exact. Don’t they make the cutest vases! Unfortunately, my white peony bush had a little lawnmower accident the other day. Seems someone (that I’m married to) got too close to it on the riding mower and took out half the bush and part of the metal peony support. Your peonies are so pretty, and they look so intelligent in the chemistry flasks. They do make the cutest vases. 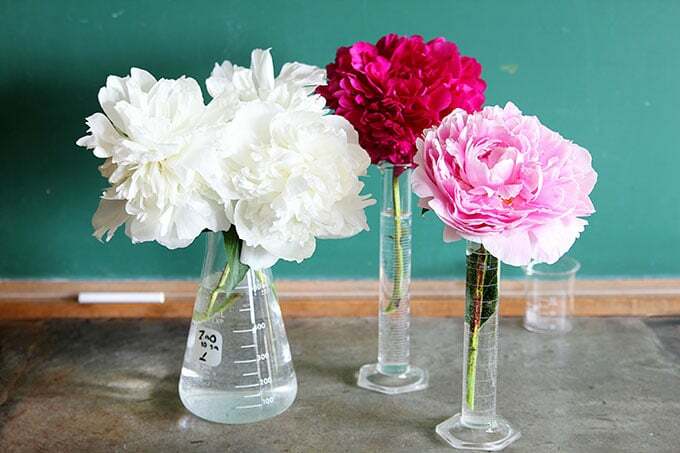 Chemistry flasks…I’m thinking Halloween…but peonies are even better! I’m the mower/pusher at our house. 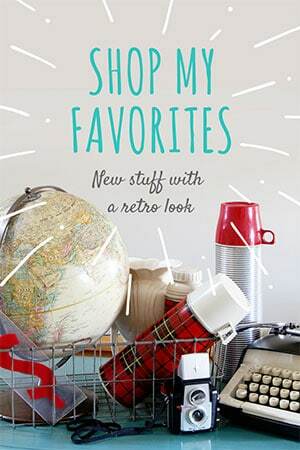 Love it, but I am also guilty of accidentally taking out a few precious things and have to hid the damage from Chris. Love the peonies, love the beakers. COOL idea. Very cool. Oh, I feel for ya! I’m sure you didn’t know whether to go into mourning or scream. Oh ours are not even blooming yet! The lilacs are just finishing up, we are so late here. That is why I mow the lawn with the rider, I do not let the husband near it!!! It’s MY mower! I have to watch him closely when he gets the chain saw out and I’ve been known to hide the weed whacker too! I bet “someone” feels bad about your Peony bush 🙁 Love this lab glass look too–I always trying to think of cute things like this to do.Thanks for the idea! Alex told me that he thought of my the other day while he was doing a lab for his Forensics class. He said all the glassware (beakers, etc.) they were using were Pyrex. I asked him why he didn’t smuggle any home for me. Hey, I’m a taxpayer. Don’t I deserve at least one? I can relate to the crazy driving lawn mowing driver!! My husband did something similar… took out 1/2 of one of my cotoneasters! Grew back even bigger the next year, and now he grins when I mention it. Seems he did the cotoneaster a favor ….LOL! Great vases and such pretty flowers.